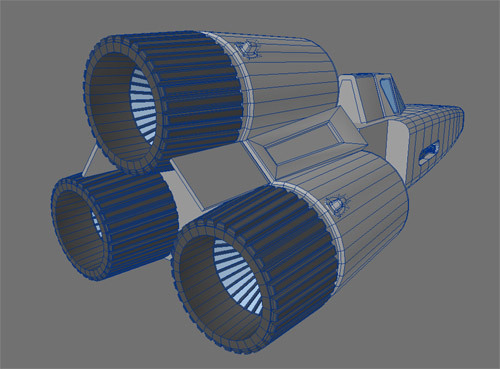 In addition to sketching and learning techniques to improve what I do, I have also started to follow a tutorial to create a 3D model of one of my favorite spaceships, a Battlestar Galactica Viper. Below is my work in progress. There is still a bit more to do, but at least it is starting to take shape. If you have not had a chance to watch this show I recommend it. We started by renting the series via Netflix and eventually moved to watch it online, we also purchased a couple episodes via amazon.com Unbox service. One of these days we will add the DVD sets to our collection.